For residential developments, industry, government, and corporate properties, security is of increasing importance today. Controlling access to properties requires gates designed for both easy operation and secure protection against unauthorized trespassers. Depending on the property, a variety of gate types is needed to match your unique requirements and available space. As the leader in security products and fencing, shipped directly from manufacturers to our customers, we offer a complete selection of security gates of all types. Each product we sell is hand selected after thorough research. Top quality at affordable pricing is our highest priority. At the links below, you’ll find descriptions of the widest selection of security gates available anywhere. Sliding gates, either manually operated or using electric gate operators are a mainstay for security at a wide range of commercial, industrial and residential properties. 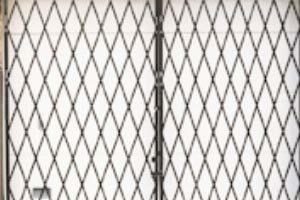 We offer highly affordable chain-link gates and ornamental sliding gates for openings up to 60′. Slide gates in single or double configurations are among the most cost-effective solutions for many properties. For new installation or replacement use, our customers rely on us for the very best designs at money-saving low cost. Where space allows, cantilever swing gates provide affordable access control for low to medium security requirements. We offer these gates at remarkably low prices in widths from 12-16′ for single gate use, or from 24-36′ when used as double gates. Custom sizes are also available, if required. Our proven hinge and latch solutions provide maximum security and durability. Heights from 6-8′ are available, and privacy slats can be added to block the view of your property. Count on us for the very best in low-cost, top-quality chain link swinging gates. 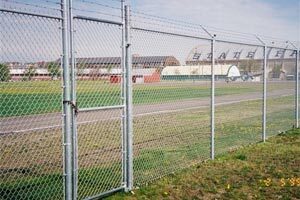 Anywhere chain link fencing is used for security and access control, pedestrian gates are always part of the design. 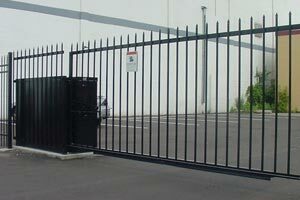 Our walk gates are available in stock widths from 36″ to 48″ and in heights from 5′ to 8′. Choose from standard 1 5/8″ or heavy-duty 2″ galvanized pipe frames, and select our Industrial Walk Gate Latch PL152W for maximum durability and security. All chain link fabric in these gates is of the highest quality. Our prices are among the lowest available anywhere, but our quality for these crucial products is superior. Controlling vehicle access and exit from commercial property is a constant need. At our discount security product supply company, we offer a complete range of highly affordable swinging and barrier arm gates to match your needs. For both manual operation or operated by automatic gate operators, we can supply gates of any length at prices based on our volume purchasing discounts and fast manufacturer-direct shipping. We keep our prices low to help our customers get exactly the products they need without breaking their budgets. Call us today to discuss your requirements. Scissor gates are a time tested access control closure for a wide range of building openings and internal access control requirements. Typically opened and closed at set times, they provide powerful security at very low cost. Preventing trespassing and vandalism for retail stores, warehouses and many other properties, they are easy-to-install, affordable and highly effective. 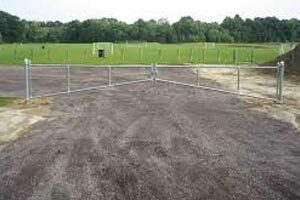 We can supply single or double scissor gates in any dimensions at very low pricing per square foot. All gates are of heavy-duty construction and finished with durable enamel paint. Limited space often limits the use of sliding or swinging gate designs, especially between buildings. Public storage facilities, warehouse operations, residential developments and other facilities are often faced with this dilemma. Vertical pivot gates swing up to open, allowing easy, unrestricted vehicle access. Usually operated by an electric gate opener, they can be controlled with a wide range of options. We can supply these gates in steel or aluminum, up to 20′ long and 9′ high, in either single or double configurations. See the complete variety available at low discount pricing. At many facilities, space alongside vehicle entryways is severely limited. When swinging, slide and pivoting gates cannot be accommodated between obstructions, vertical lift gates are the solution. Operated by electric gate operators and using counterweights to reduce the workload, vertical gates provide smooth, fast access and high security levels. As a leading supplier of these gates, we can assist you in creating customized access control solution at low discount prices. Contact us today with your difficult vehicle access requirements and let us help you meet your needs. How Much Do Security Gates Cost? 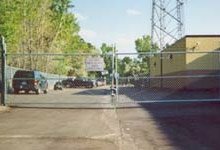 For all types of security gates, including sliding, swinging, barrier, vertical lift and pivot gates, keeping your costs within your budget is easy when you order from our nationwide discount fence and security supply company. We have the exact products you need and ship directly from manufacturers. Our high-volume purchasing lets us pass our savings on to our customers, and our expert consultants are always available to assist you with your order. Don’t pay more than you should for security gates. Whatever your security gate needs may be, don’t pay inflated high prices for the products that are ideal for your requirements. We’re your one-stop shop for every type of fencing and gate product. Our high-volume purchasing results in the best possible discount pricing. We also ship direct from the manufacturer to you to save you even more. Our experts are standing by to assist you in every way. Every product we offer is carefully selected for quality, performance and outstanding value over time. Contact us today with your requirements and let us show you how much you can save. Count on us for the best products, delivered fast and at budget-saving prices.